The phone call U.S. Rep. Gene Green took Monday turned out to be one of the most awkward conversations of his political career. His longtime friend and ally, former Harris County Sheriff Adrian Garcia, was on the line to say that he intended to challenge Green in the March 1 Democratic primary for the Houston-based 29th Congressional district. While Garcia’s decision surprised many in Texas Democratic circles, such a challenge has long hovered in the background. Green, a 12-term incumbent, is a caucasian representing a predominantly Hispanic district, holding a seat plenty of up-and-coming Latino politicians have coveted for years. But that it was Garcia, most recently an unsuccessful Houston mayoral candidate, who followed through stunned many in Texas, including Green. Those “problems” include his handling of 2013 incident involving a mentally ill inmate while sheriff. The issue proved politically fatal to Garcia, 54, in the mayoral race. “It plays into why this campaign is important,” Garcia responded, stressing the need to examine criminal justice issues involving mentally ill, high school dropouts and the poor. At first blush, some Democratic observers charged that Garcia is running for Congress seeking a consolation prize after his failed mayoral bid. Both men disagreed, with starkly different reasoning. “There was an incredible amount of encouragement, and people were saying, ‘Don’t settle for mayor — shoot higher,'” Garcia said in the wake of his mayoral campaign. “I don’t know about a Hail Mary, other than I’m Catholic,” Garcia joked in response. Regardless of Garcia’s optimism and the demographics, Houston is one of the most expensive places in the Lone Star State to run for public office. Green has nearly $1.2 million in his war chest, according to Federal Election Commission filings. Unless an incumbent is deeply flawed, faces a personal scandal or the challenger is self-funded, raising money to oust a sitting House member is a daunting endeavor. Garcia conceded money will be a challenge, but remained hopeful. As for the Texas delegation, several Democratic members are known to have friendly ties to Garcia. But it is not proper form in Washington to endorse against a fellow member. Garcia said he will make the ask anyway. East Aldine District held their 6th Annual Strategic Awards dinner last Wednesday evening, at the Greer & Lowdermilk Conference Center in Interwood. 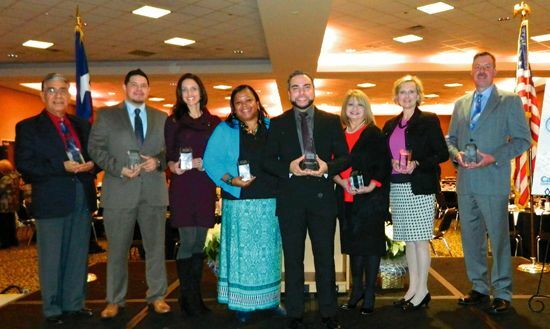 Recognition was given to eight strategic partners that work with the district to achieve their goal of improving the quality of life for residents of the district. Master of Ceremonies for the evening was Lone Star College’s Bennie Lambert, assisted by East Aldine’s chairman, Gerald Overturff, and president David Hawes. Hawes gave a brief history of the district in his remarks, noting the success of income increasing 20% each year since its beginnings in 2001. He noted the help from officials such as State Representative Armando Walle and Pct. 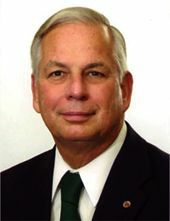 2 Commissioner Jack Morman. He said that the district has achieved many of its goals, and “made a change” in Aldine. He said this was because the community works as a team, and so the awards recognize the partners. Board Choice, Neighborhood Centers, Inc., Jose Rivera accepting.